We where fourteen that spring, Bella, Momo and me. In the winter afternoons we were usually in Momo’s room, but during the warm part of the year, we sat in Bella’s garden, or inside the greenhouse if it rained. We lived in the middle of all the living and growing, and it made ​​me forget that I was Kim, that I had a body that grew too. The greenhouse was a free zone, a place where other laws ruled. During the day Kim and her girlfriends Bella and Momo put up with the boy’s intrusive gazes and sexist insults. But at night they drink the nectar from a magical flower which turns them into boys. Kim can’t get enough of the freedom a boy’s body offers and as a boy she also falls in love with Tony. Together the two of them experience excitement and attraction, but as a girl Kim does not interest Tony. Everything rapidly falls apart for Kim, Tony, Bella and Momo and things escalate into a heart-stopping resolution. The Boys is an account of the teenage years like no other. It combines the painfully everyday with the beautifully magical in a tale of transformation, love, sisterhood and coming of age. The Boys is the kind of novel you wait for without knowing it. While reading it you are, in a way, under a spell. Why? Because suddenly you realize that it’s a book about all the questions teenagers ask without asking the adults. You are literally in their heads, you breathe with them, you walk and think with the three girls–their joys, their silences and their pains are yours. How to be a girl? How to be a boy? How to be friends? How to love? How make others love you? If you have the power to be someone else, how would you use this gift? This is the very moving story of Kim–the novel of Kim–who will understand, page after page, event after event, that the real question is not about acting like a boy or a girl but how to be you. In a very difficult world for teenagers, The Boys is a brilliant, smart, wonderful novel about loneliness, friendship, love and desire, a perfect novel about how to be true to yourself–written in a way you’ve never read before. Shaïne Cassim, editor of Wiz-Albin Michel, France. 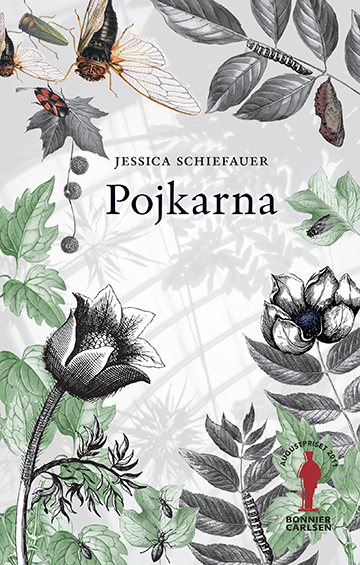 Pojkarna is an incredibly strong and well-written young-adult-novel. It touches some important and well-known topics, but in a new and very exciting way. Besides being a good reading experience, it is also a book that is fuel for thought and where there is a lot to discuss for example in an educational context. This story is unique, magical, bold and surprising. 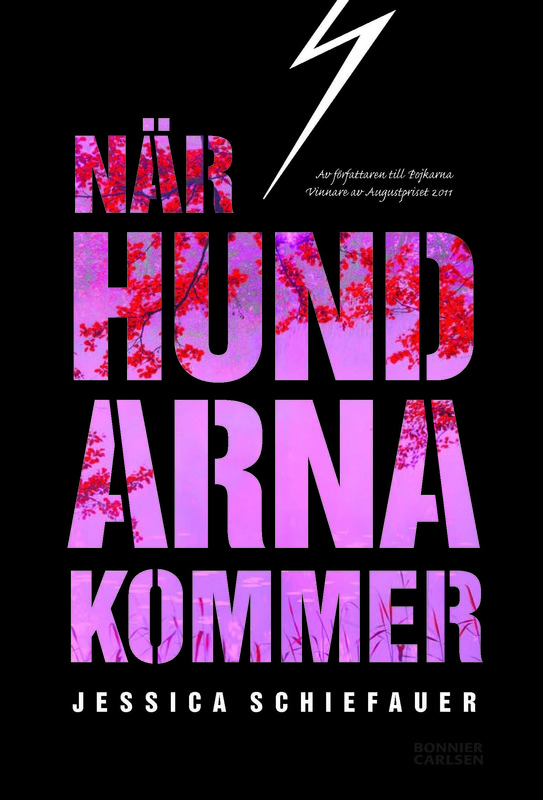 It has a poetic style with captivating aspects of indecency and rudeness reminding me of the bestseller “Light, Light, Light” by Vilja-Tuulia Huotarinen. I love it. Without doubt a worthy and interesting August Prize Winner. Surprise of the year: The Boys /… / Completely unexpected and well executed. Brave fantasy with existential questions /… / Well done to Jessica Schiefauer for not choosing the simple way. The style is unadorned, with powerful metaphors. The language is hard and soft; aware of the ferocity of a flower. In a glowing and contemporary saga about love, death and rebirth [Jessica Shiefauer] helps her three teenage Orlando characters free themselves and explore the limits of the self. Together, and on their own, the three characters explore their genders, their bodies and their desires, beyond established boundaries. During the day they are “the girls”: the maladjusted, the exposed, the constantly observed. When night falls they become “the boys”: the anonymous observers. ..the borders of existence are – and must be permitted to be – so much larger than the volume restricted by the skin. The Boy Kingdom is introduced with the acuteness and assertiveness of the girlhood eye. A coming-of-age novel that endeavors to dissolve the borders of language, maturing and reality. About the body as a battlefield and masculinity as a drug. In Pojkarna fairy tale and imagination are mixed in a realistic depiction of what is it is like to grow up today, seen from a girl’s perspective. At the sametime, it is a novel of ideas which highlights the different conditions for girls and boys through asking important questions about gender. Schiefauer examines the limits of self and the body, and in the portrayal of Kim she shows that the phenomena of identity and gender describe a perpetual motion, something that is constantly changing and negotiable. The story has a poetic tone and stands out with its imaginative and telling imagery.